Chicago's Chriskindlmarket is a "must" for anyone looking for delicious treats or handmade crafts. The most wonderful time of the year has finally arrived, and Chicago is brimming with the joy of the holiday season. For those wishing to join in on the seasonal spirit, there’s a wide variety of holiday events around the city. Make sure to check some of them out before the season ends. 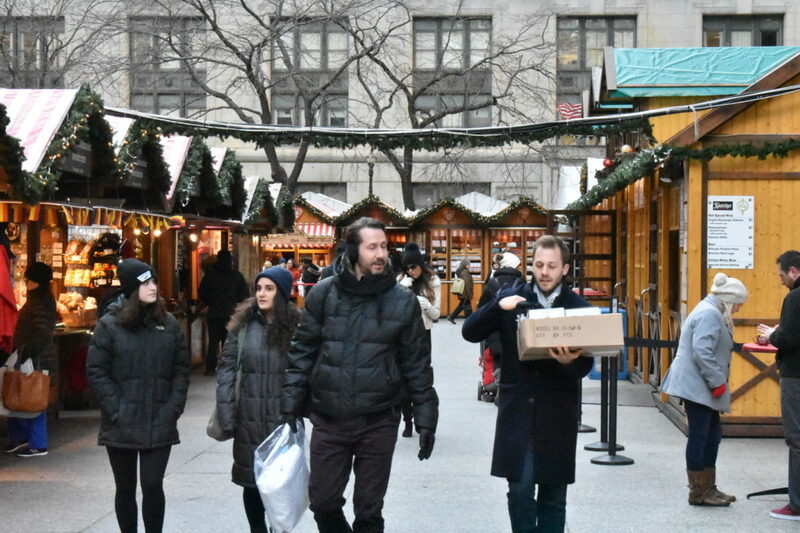 Modeled after the 16th century Christkindlesmarkt in Nuremberg, Germany, Chicago’s Christkindlmarket embraces this German tradition by showcasing a number of classic German crafts and delicacies. Within the market’s shops, visitors can purchase items such as cuckoo clocks and beer steins. The market’s food stands offer authentic German cuisine, such as bratwurst and sauerkraut, as well as beer and Glühwein — a traditional, hot spiced wine. Among the market’s collection of sweet treats, visitors will find delicious baked apples, roasted nuts and Stollen — a traditional German holiday cake. The Christkindlmarket sees over one million visitors annually and is a must-visit for anyone in Chicago during the holidays. Christkindlmarket is open Sunday-Thursday 11 a.m.-8 p.m. and Friday-Saturday 11 a.m.-9 p.m. 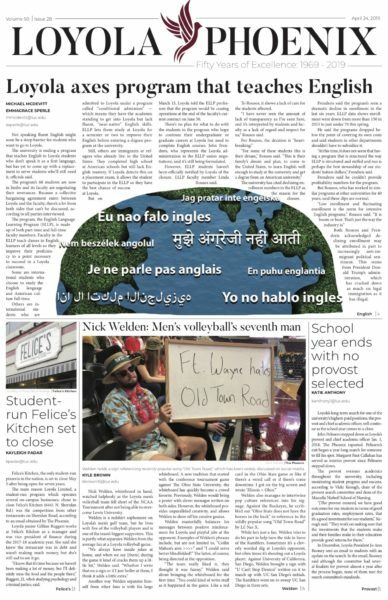 The market ends Dec. 24 and will be open 11 a.m.-4 p.m that day. Admission is free. Now in its 40th year, the Goodman Theatre’s production of Charles Dickens’ “A Christmas Carol” is sure to put everyone in the holiday spirit. The stage adaptation of Dickens’ classic novella about Ebenezer Scrooge, an old miser who learns the art of kindness after he’s visited by the Ghosts of Christmas Past, Present and Future will leave audiences filled with the joy of the holiday season. This year, Larry Yando returns in his role as Scrooge, and Henry Wishcamper is back for his fifth year as director of this Chicago Christmas tradition. 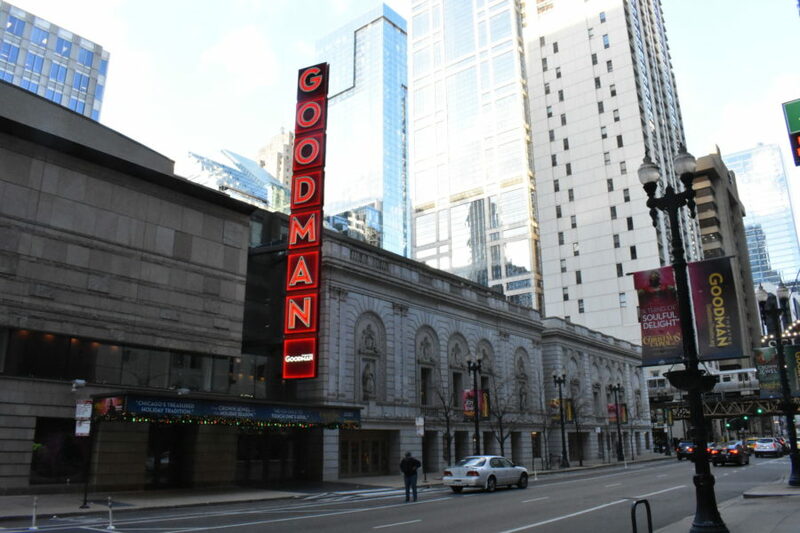 A production of Charles Dickens’ “A Christmas Carol” is annually held at The Goodman Theatre. “A Christmas Carol” runs on various dates throughout the week and lasts through Dec. 31. Tickets start at $25 and can be purchased at https://www.goodmantheatre.org/carol. Every Friday, a different local choral group sings festive tunes in front of Cloud Gate, also known as “The Bean,” to capture the excitement of the season. The event is both a concert and a sing-along. Once the caroling is finished, singers and celebrants head to the Millennium Park McCormick Tribune Ice Rink to round out the holiday festivities with ice skating. The chorus lasts from 6-7 p.m. and runs through Dec. 15. Admission is free. Discover the beauty of the Christmas season at the Joffrey Ballet’s production of “The Nutcracker.” Choreographed by Tony Award-winner Christopher Wheeldon (“An American in Paris”), this year’s performance takes audiences inside Chicago’s 1893 World’s Fair, offering a mesmerizing tale of romance and adventure. With its gorgeous set design and Tchaikovsky’s famous musical score — performed by the Chicago Philharmonic Orchestra — “The Nutcracker” is sure to delight audiences of all ages. Joffrey Ballet’s “The Nutcracker” is performed at Roosevelt University’s Auditorium Theatre. It runs through Dec. 30 on most weekdays 2 p.m. or 7 p.m. Tickets can be purchased online at http://www.joffrey.org/performances/tickets, by phone at 312-386-8905 or at the Joffrey Ballet Box Office (Joffrey Tower, 10 E. Randolph St.). Ticket prices start at $40. Students who arrive an hour or less before showtime are eligible for $15 “rush” tickets so long as tickets are available. Every evening in December, the Lincoln Park Zoo becomes a magical, glowing wonderland with the help of 2.5 million lights. In addition to taking in the stunning light displays, families can visit Santa at the Helen Brach Primate House, enjoy ice-carving demonstrations at the Kovler Seal Pool and purchase snacks and beverages. ZooLights takes place every evening from 4:30 to 9 p.m. and lasts through Jan. 7. Visit the Music Box Theatre’s 34th annual double feature showcase of “White Christmas” and “It’s a Wonderful Life.” Join Bing Crosby and Danny Kaye as they dance and sing alongside Rosemary Clooney and Vera-Ellen in director Michael Curtiz’s 1954 classic, “White Christmas.” Afterward, discover the warmth of the holiday season in director Frank Capra’s beloved 1946 film, “It’s a Wonderful Life,” which stars James Stewart as George Bailey, a man who retraces his past with the help of his guardian angel, Clarence Odbody (Henry Travers), in order to help him recognize his life’s importance. Between screenings, those with the most holiday cheer can join other moviegoers in singing Christmas carols. 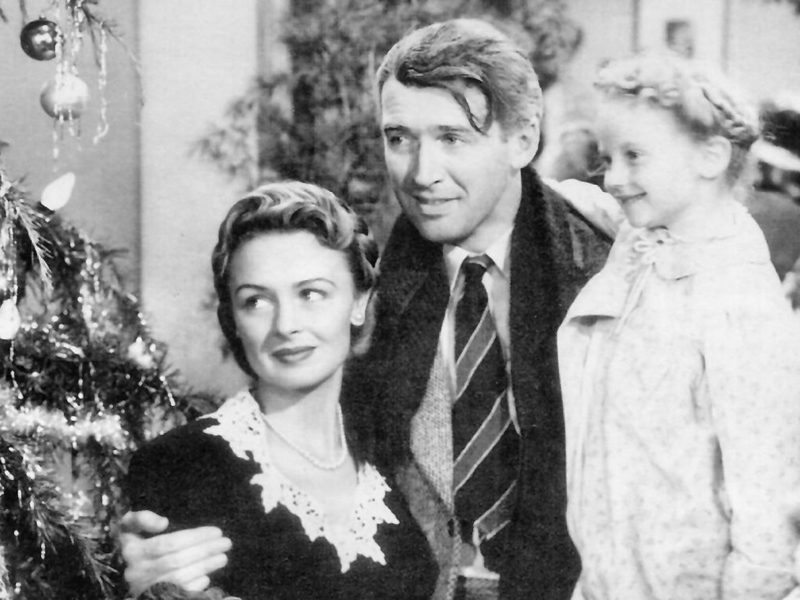 The Music Box Theatre’s Christmas Double Feature runs at various times every weekend Dec. 9-24. Tickets can be purchased online or over the phone for $13 (single feature) or $20 (double feature), while children’s tickets cost $10 (single feature) or $15 (double feature). Chicago’s Andersonville neighborhood honors its Swedish heritage each year with the St. Lucia Festival of Lights. For one night during the Christmas season, the specially chosen “Lucia Girls” — wearing white robes and crowns topped with candles — walk down the sidewalks of Clark Street singing “The Lucia Song.” Each “Lucia Girl” represents a Swedish cultural organization from the Chicagoland area. This Swedish tradition honors the Italian saint and martyr, St. Lucia, and dates back to 1927. Following the procession, participants are invited to a Lucia celebration at the Swedish American Museum, where they can stay for storytelling, family entertainment and Swedish holiday treats, such as traditional “pepparkakor,” which is a thin gingersnap cookie. The St. Lucia Festival of Lights takes place this year Dec. 13 4:45-7 p.m. Attendees can pay $1 for admission or donate a can of food to benefit Care for Real, the Edgewater neighborhood’s food pantry.